No one died from gout – the Disease of Kings. 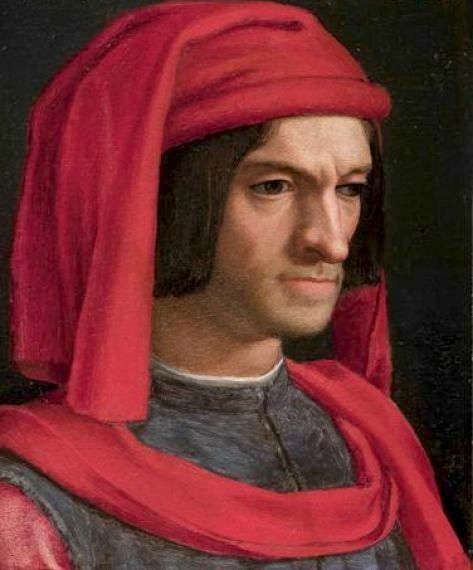 So the doctor was not particularly worried about his patient, Lorenzo de’ Medici, called Lorenzo the Magnificent, one of the richest men in the world. But because Lorenzo was suffering from a pretty bad episode, the doctor changed the treatment. To the usual ground-up pearls, he added some other ground-up jewels for good measure. Lorenzo, at 21, had inherited his fabulous wealth and power from his father. 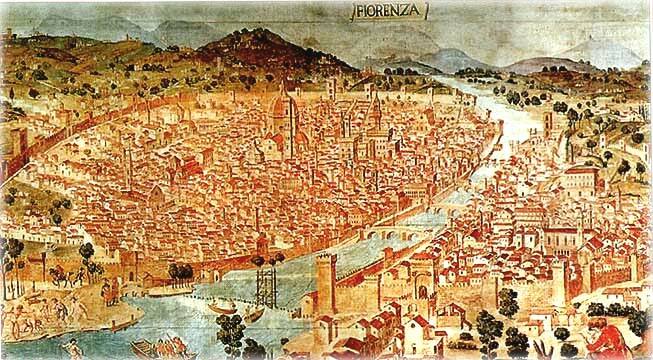 The de’ Medici ruled Florence, a city-state in the Italian peninsula known for banking. It was equal in power to the countries of Europe. Their coat of arms, gold balls on a cloth of red, was also the medieval sign of the pawnbroker. 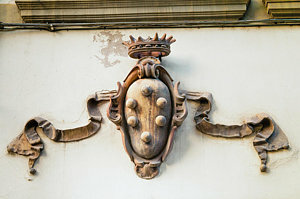 It was whispered openly that the de’ Medici were marani, secret Jews, because only Jews were allowed to be pawnbrokers. Lorenzo also inherited his disease from his father, unknowingly made worse by a diet of rich foods. Lorenzo, famous for his support of artists and sculptors, was one of the driving forces of the Renaissance. 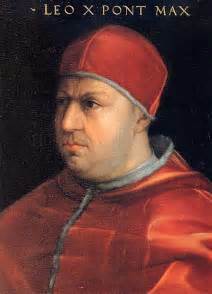 He also used his wealth and connections in the Church to advance his second son, Giovanni, born in 1475, and his nephew, Giulio, born in 1478, and raised in Lorenzo’s household, in the Church hierarchy. The potion of pearls and jewels did not work. As Lorenzo lay dying, during a terrific thunderstorm, a lightning bolt struck the steeple of the Church of Santa Reparata, toppling it. It fell into the street, killing people. A demon Lorenzo had kept trapped in a ring on his finger had escaped at the moment of his death, flown to the steeple and knocked it down. The doctor, blaming himself for Lorenzo’s death; threw himself down a well, killing himself. Twenty-one years after Lorenzo’s death, Giovanni was elected pope. Taking the name Leo X, he was famous for his encouragement of the arts. He died in 1521. 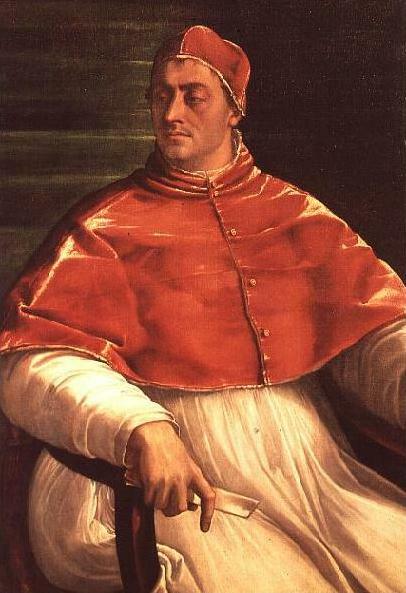 Two years after Giovanni’s death, Lorenzo’s nephew, Giulio de’ Medici was elected Pope Clement VII. Fun facts! FYI, sentence two needs an “a” and its terminal punctuation corrected. Thanks so much. You’re always great. Corrections made!